Playtime: There's Always Something for You to Do. "My kids had a blast. They talked about it for days. There is so much to see and do for the kids." 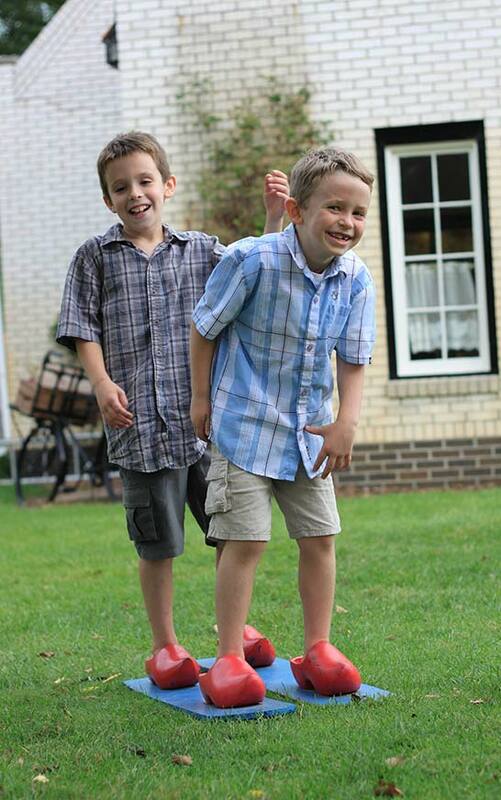 Good old-fashioned fun for your family with a Dutch flair. 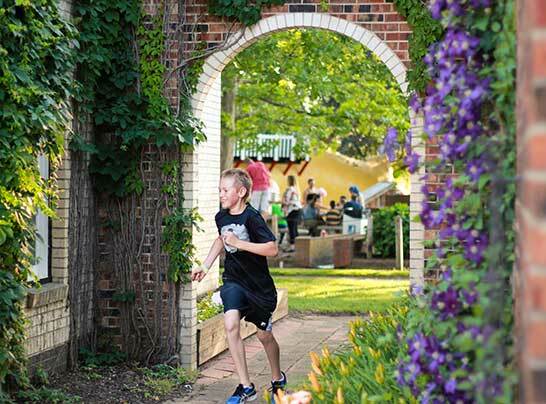 If your kids have a love of adventure, there's even more to do at Dutch Village. Take a look at some of our most popular playtime activities for your kids. 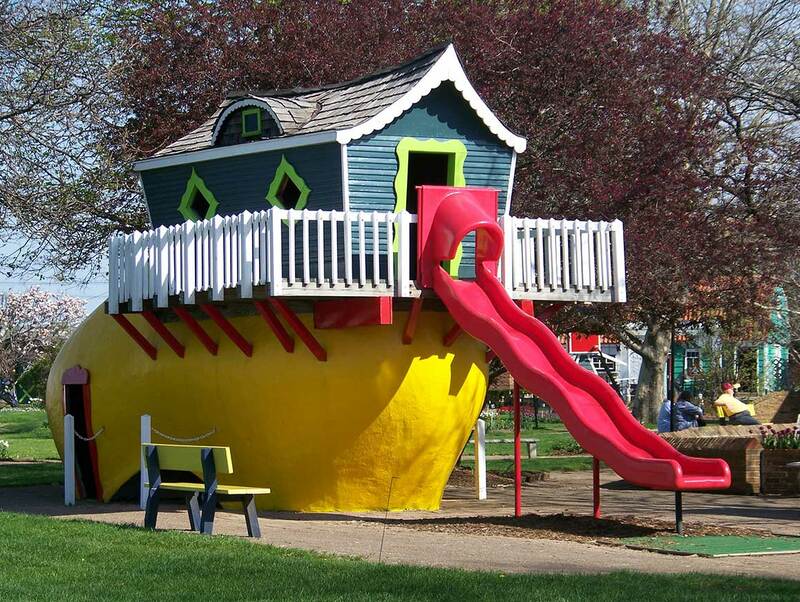 Young children love sliding down our shoe slide and playing in our shoe house. 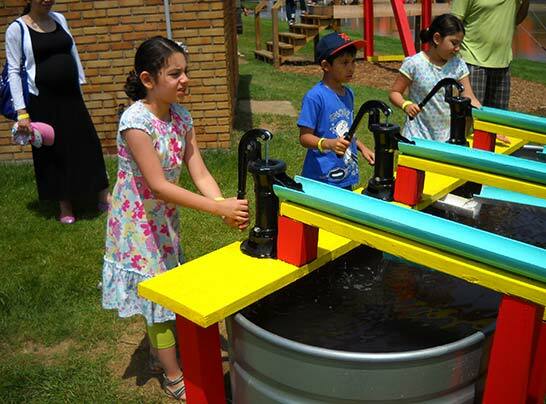 This popular attraction at Dutch Village has been delighting kids just like yours since 1967. Side by side racing using one of three hand-operated pitcher pumps. You pump water to propel your yellow rubber ducks in a race down and back. Het Klim Kasteel is a fun play structure for kids ge 5 to 12. 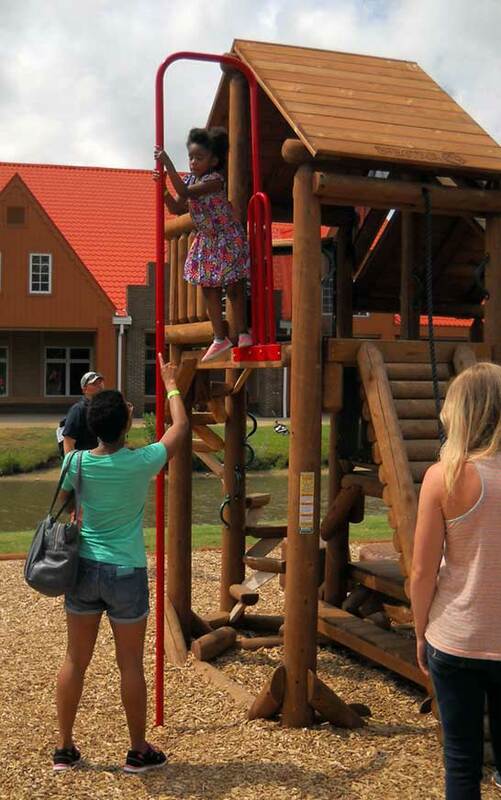 Your kids will discover slides, poles, ladders and other climbing structures. 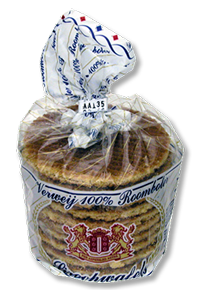 Enjoy a classic buttery, Dutch treat imported straight from the Netherlands. 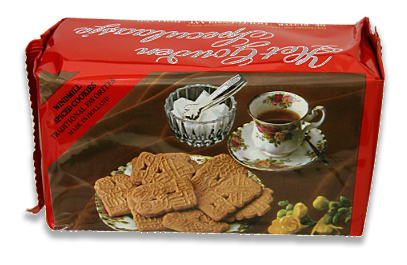 Distinctive spiced cookies in the classic windmill shape. They are a perfect Dutch treat with coffee.